The 67th NBA All-Star weekend is in the books, an occasion capped off by a reinvigorated, captain-picked All-Star game that saw LeBron James take home his third MVP. A comeback victory by Team LeBron, including a game winning defensive possession was the cherry on top of a weekend filled with stars, hoops, and politics. After a series of insensitive and despondent comments by Fox News reporter Laura Ingraham, much of the All-Star weekend was devoted to player commentary and response to the United States’ political and social well-being. Discussions led by Dwyane Wade, Chris Paul and others spoke to the platform and responsibility athletes have in addressing injustice and inequality. But behind the scenes, the NBA was having its own discussion. Held Saturday afternoon, a group of players and referees met regarding rising player and referee tensions. Though Commissioner Adam Silver contends that the number of personal and technical fouls are in line with numbers from previous years, the season has seen irate players responding negatively to referee judgments. Despite Silver’s assertions, the addition of new faces to the crowd of habitual tech-receivers has shone a spotlight on referee decisions. According to ESPN, Kevin Durant and Blake Griffin are both in the top 10 in technical fouls, with 10 and nine respectively. Last season, Durant only mustered eight while Griffin accumulated four. Other notable players, like Steven Adams and Andre Drummond have increased their technical fouls from last year by the halfway mark of the 2018 season. Even if the total number of techs is on pace with that of years past, the prevalence of generally mild-mannered players among the NBA’s tech leaders has made the issue visible. In an effort to address these tensions, a meeting held between members of the NBA Players Association and NBA Referees Association resolved in general terms. According to NBA.com’s Steve Aschburner, the players and refs agreed to building a “channel of communication” through which refs and players might address complaints and express themselves. While the sentiment is appropriate, a direct line of communication between referees and players has disastrous potential. Unlike the relationship between players and coaches, who can find themselves in roles reminiscent of familial ties, players and referees have a resounding duty of impartiality. The NBA has faced controversies with point spreading and game tampering, with the most iconic example being ex-ref Tim Donaghy. Opening a direct discussion between the active members of competition will directly jeopardize the integrity of the sport. The details of the communication channel have yet to be announced (if they ever will) but with less-than-amicable tensions between players and referees, having either side respond directly to the could do more harm than good. The NBA is already cracking down on referee decisions, notably through the implementation of the “Last Two Minute Report” that brings attention to missed calls at the end of game. Similarly, eight years ago, the NBA introduced “Respect for the Game” rules that sought to address overly emotional displays from players towards refs so as to limit technical fouls. With refs and players able to air grievances directly to one another, the NBA would need to monitor the potential feuds sure to break out from differing opinions. The Association is plenty busy revising investigating poor calls; the caveat of documenting player and ref complaints would do little more than fill the league’s plate with professional accusations and finger-pointing. 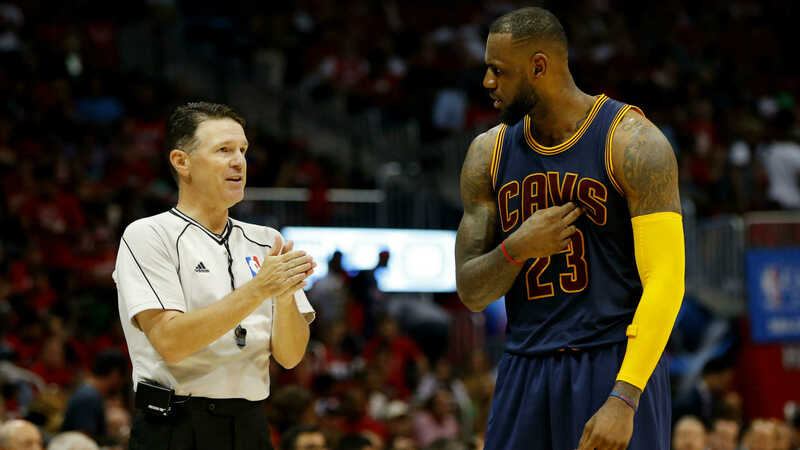 Earlier this season referee Kane Fitzgerald ejected LeBron James, citing James aggressively gestured at him. Had this newly devised communication channel existed then, what would come of James and Fitzgerald talking out the issue behind closed doors? At best both sides apologize and move on. Worse, neither side finds fault in their actions and player/ref relationships remain contentious. Underlying this issue are some of the problems that cause the political, racial and social injustice that the NBA is involved in addressing. Where is the line between appropriate and inappropriate? Who should have an influence on how games are played and called? Doing nothing is the antithesis of progress, but opening informal communications would do little more than compromise the NBA’s impartiality.